Shoreline Area News: What's the best way to deal with garbage? What's the best way to deal with garbage? The Cedar Hills Regional Landfill is the last operating landfill in King County. 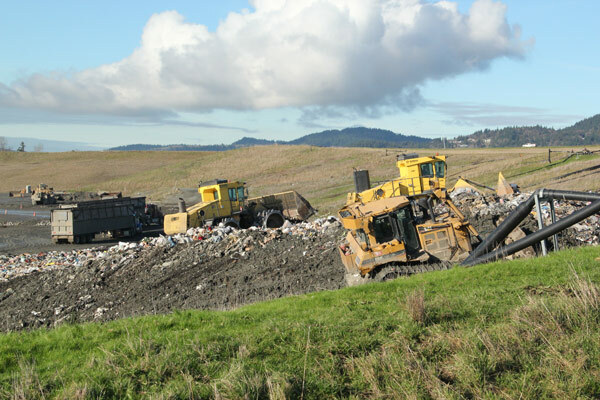 However, according to the King County Solid Waste Division, "Landfilling isn’t our only option for managing garbage in the future." As King County revises its Comprehensive Solid Waste Management Plan they want to hear from you. What do you think is the best way to deal with all that garbage? Do we continue landfilling until there is no more room, construct a waste-to-energy facility like a mass-burn plant, transport the waste out of county, or is there something else? Visit the website to review the draft plan and share your opinions on how we get rid of garbage in the future.